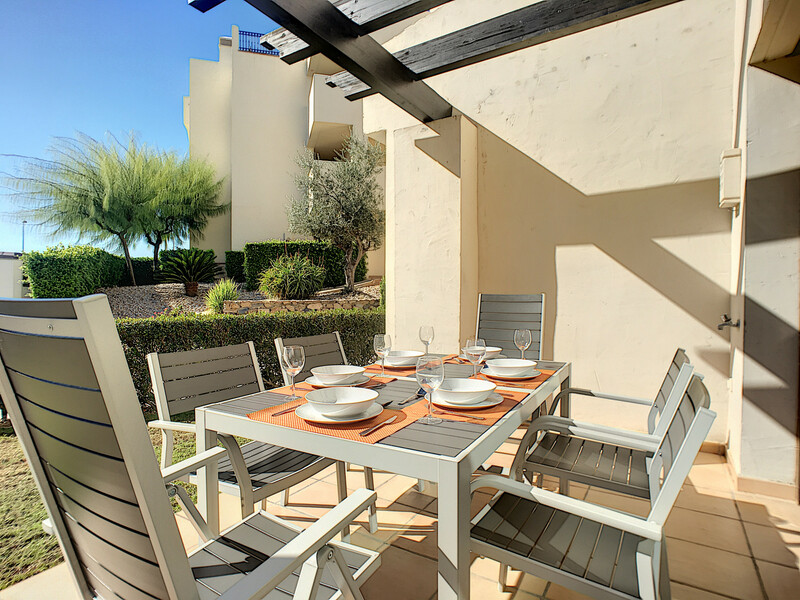 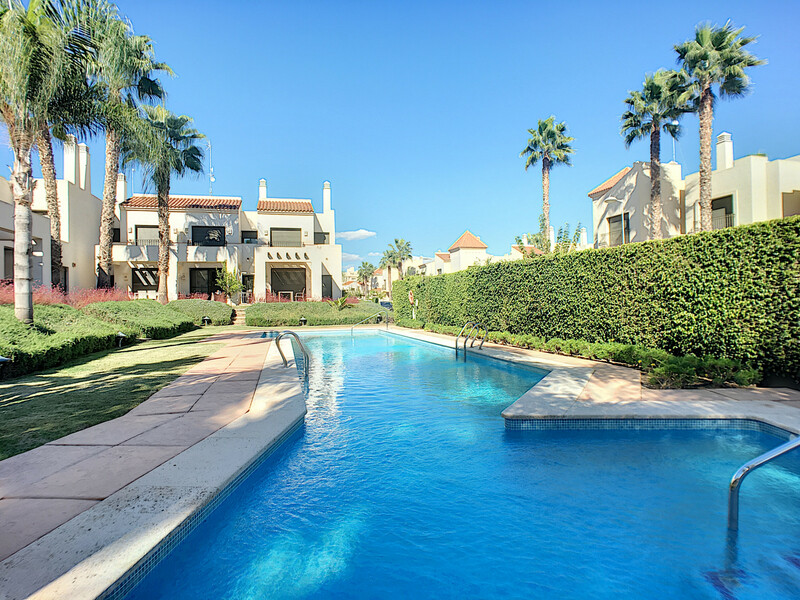 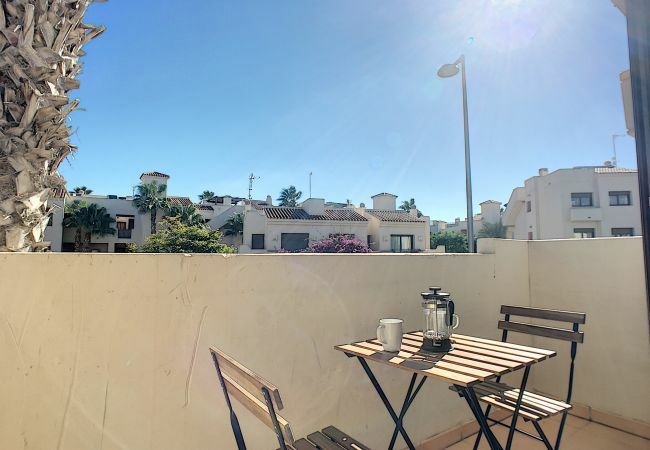 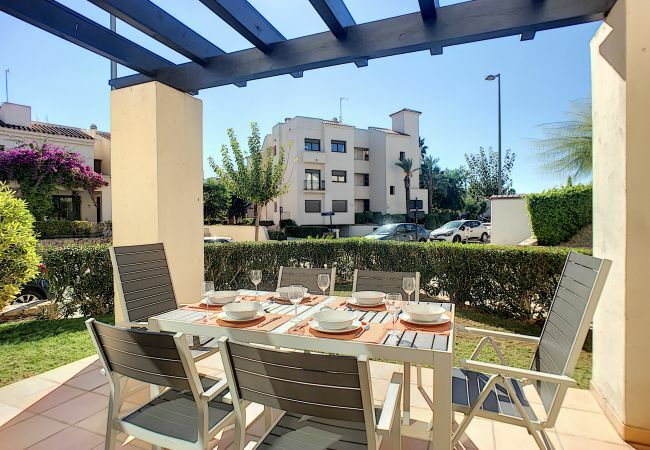 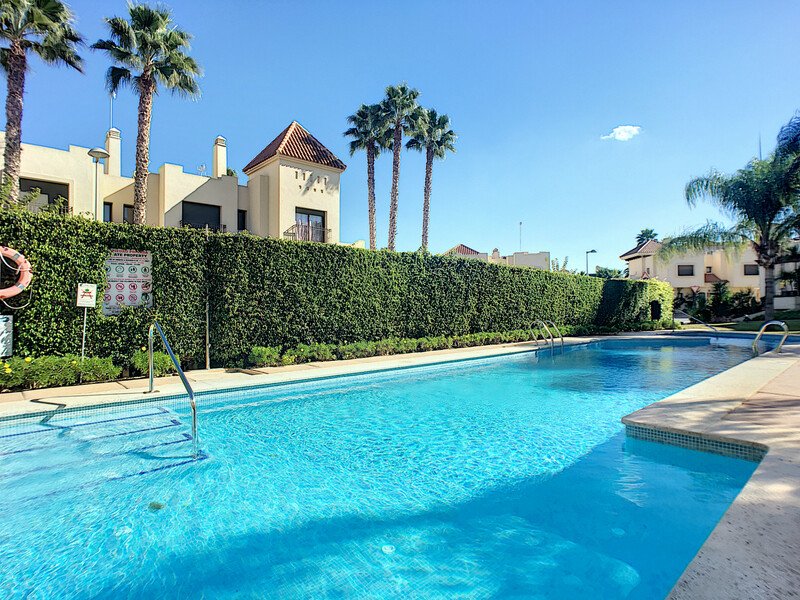 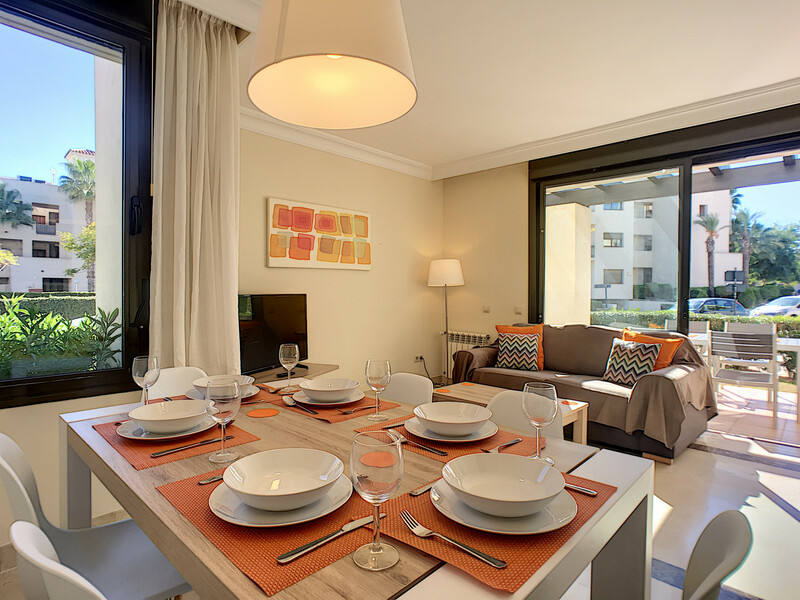 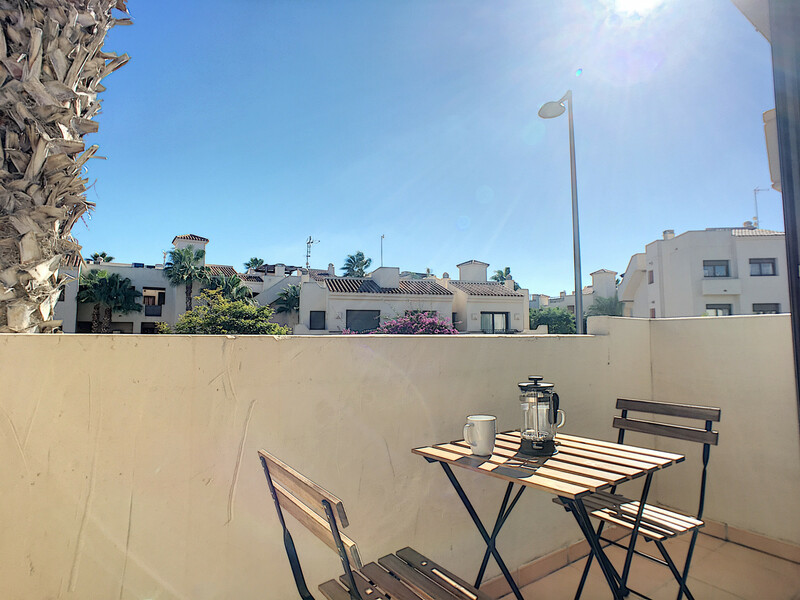 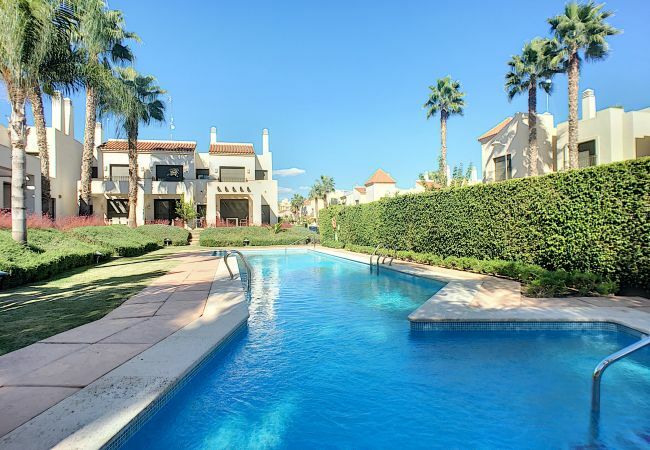 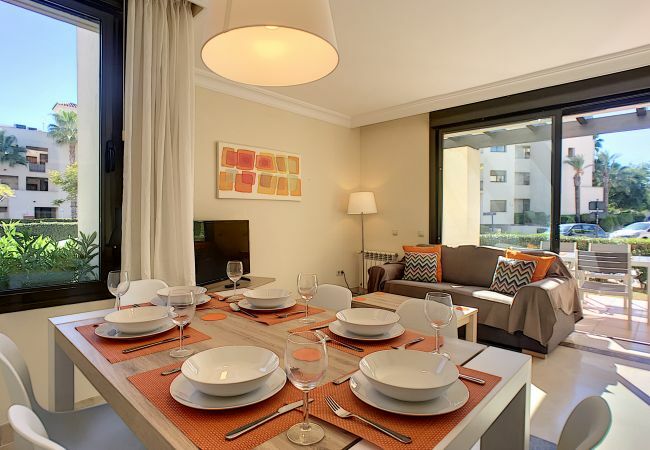 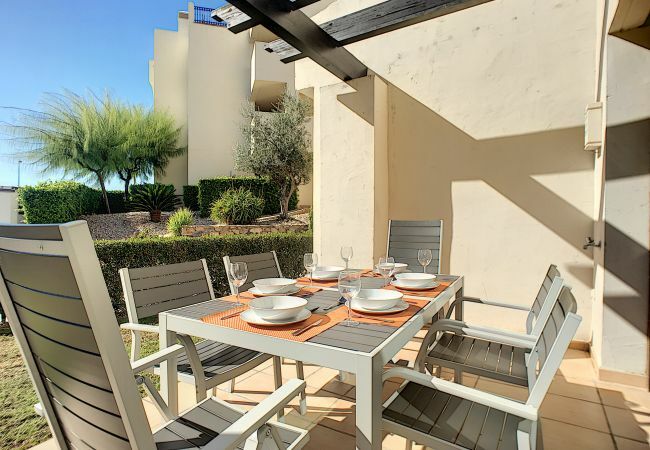 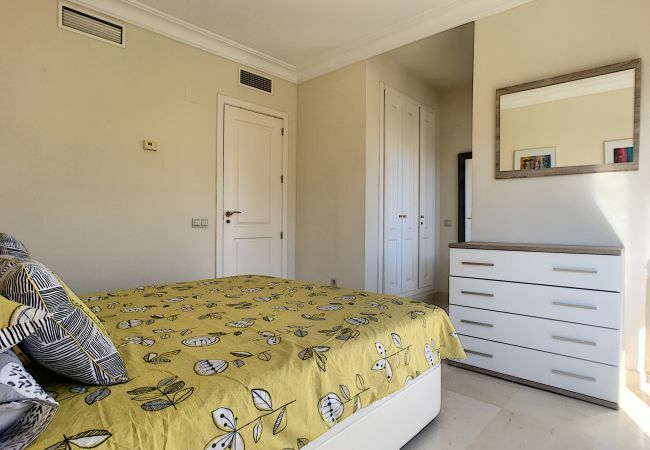 This end of terrace town house in phase 2 of the very popular Roda Golf Resort which is close to San Javier and Los Alcazares. 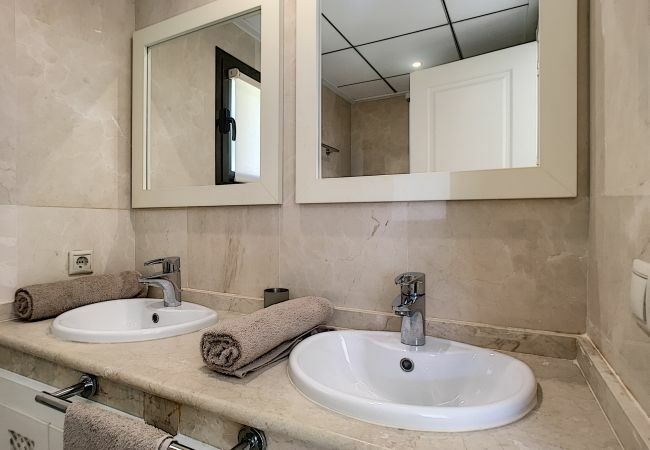 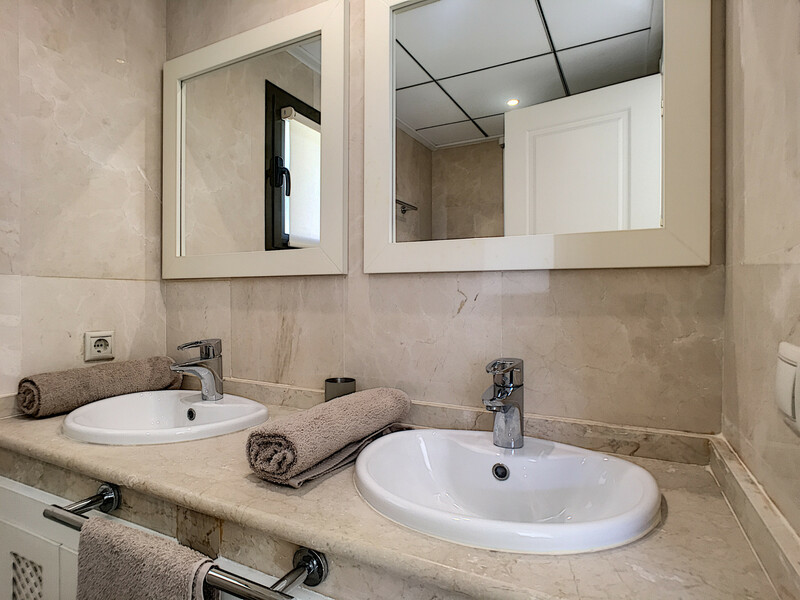 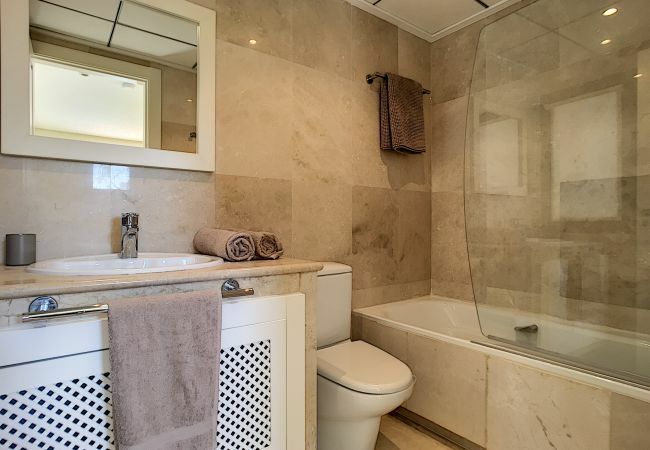 The property has 3 spacious bedrooms with family bathroom upstairs and separate shower room downstairs. 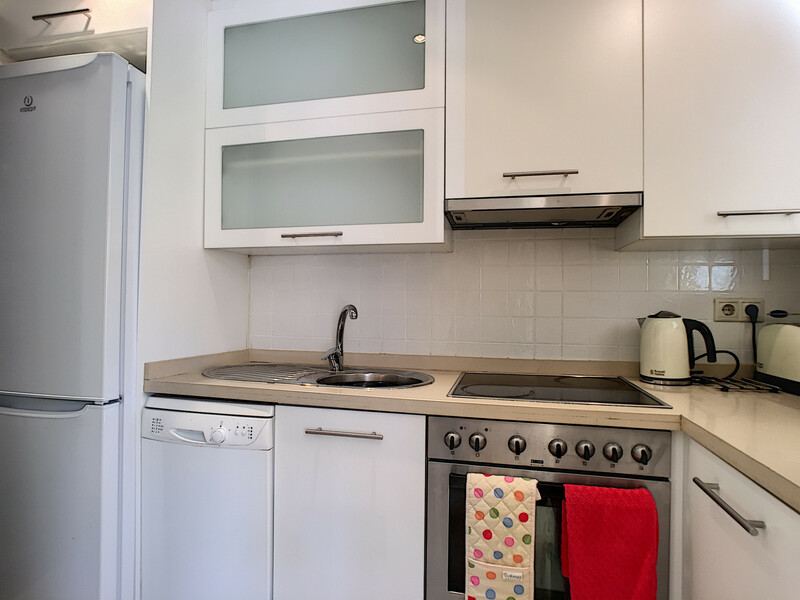 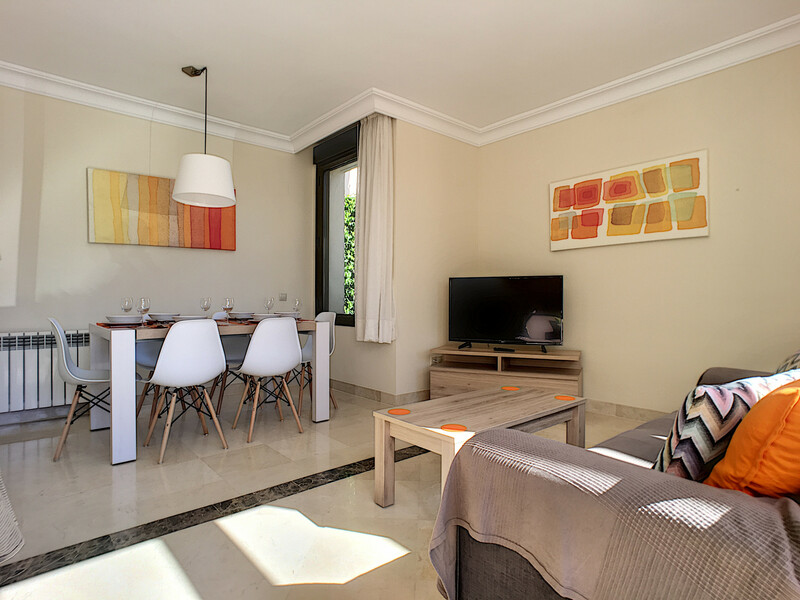 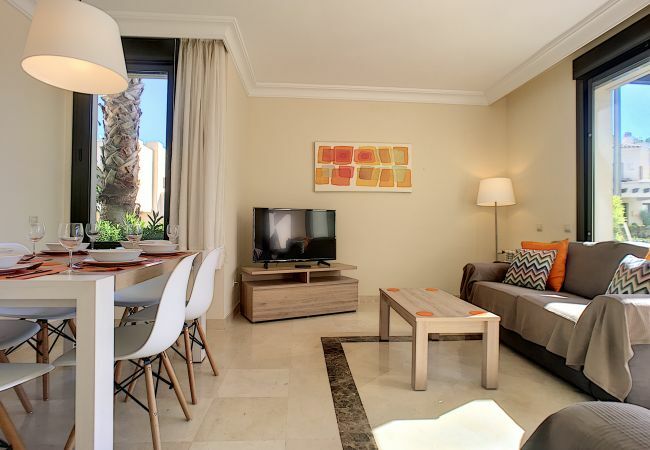 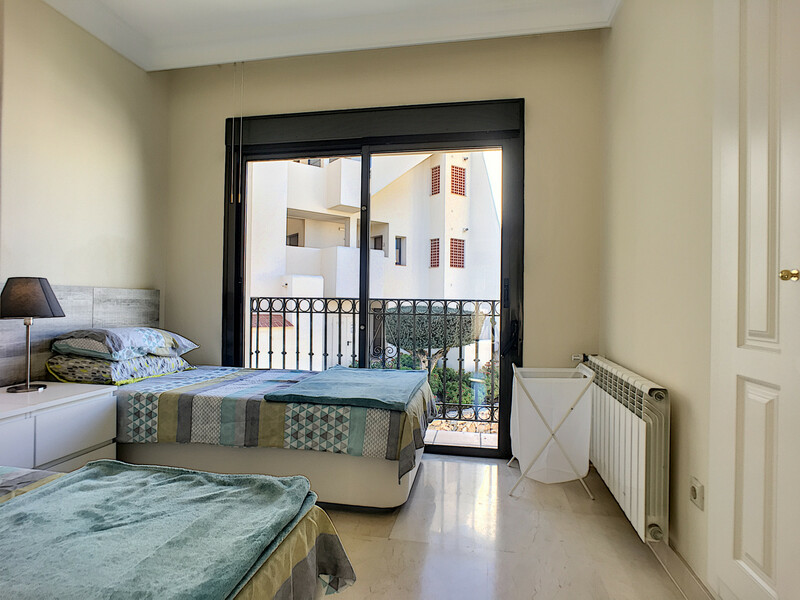 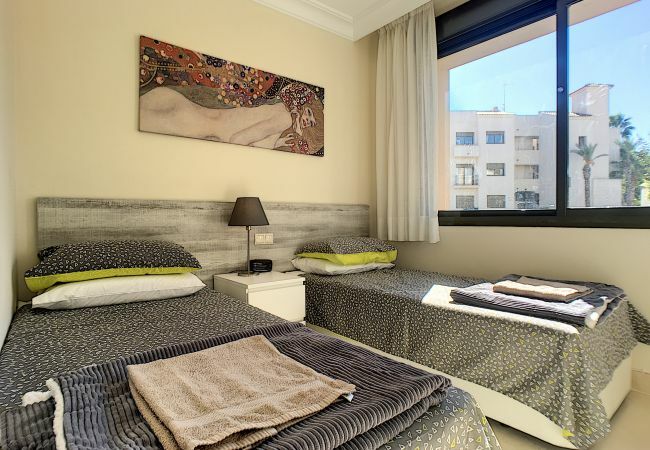 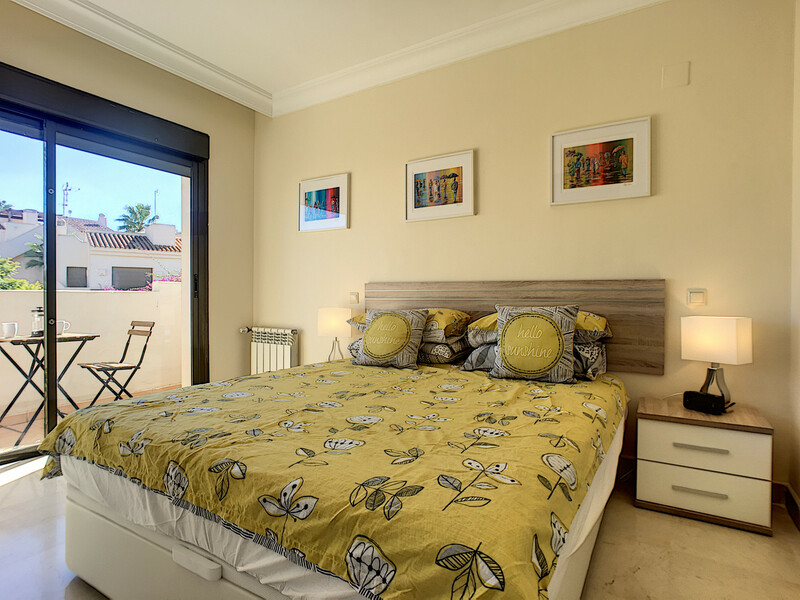 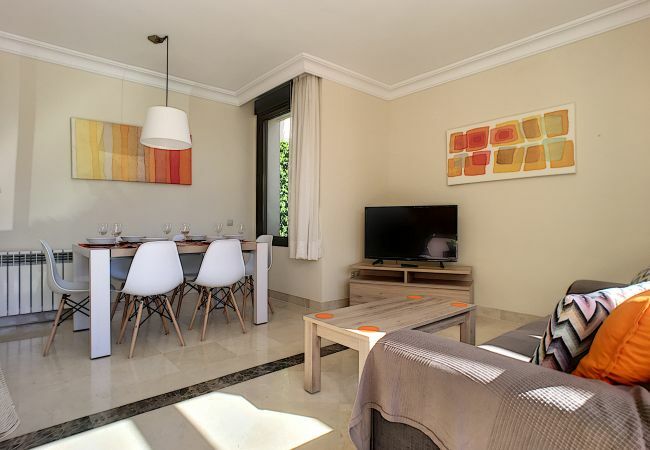 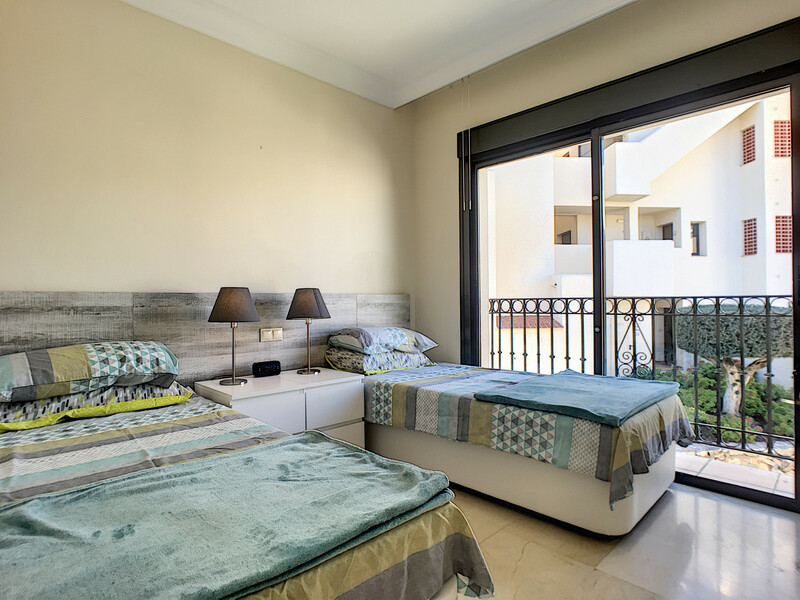 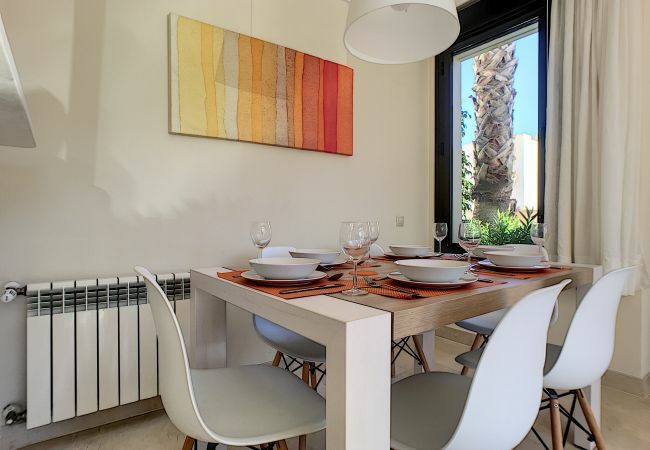 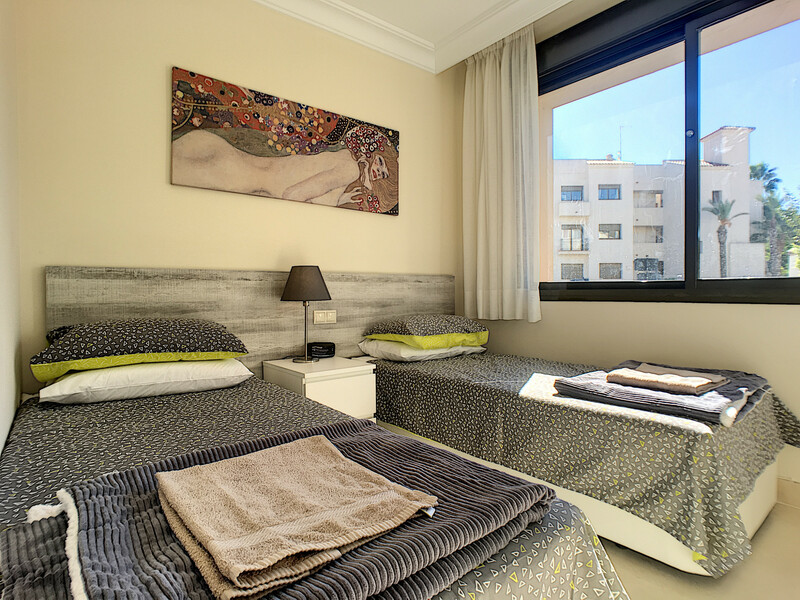 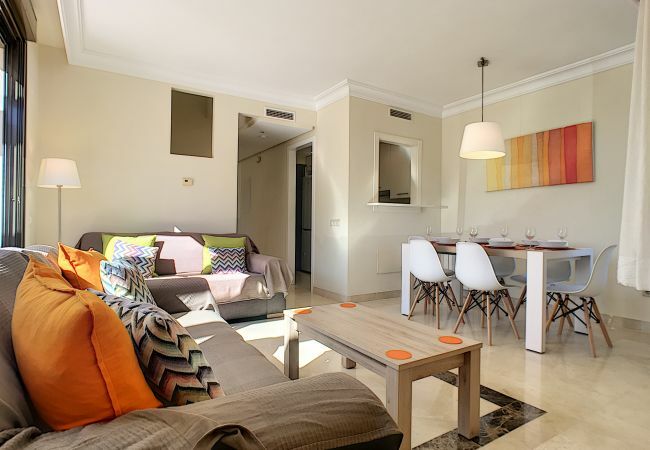 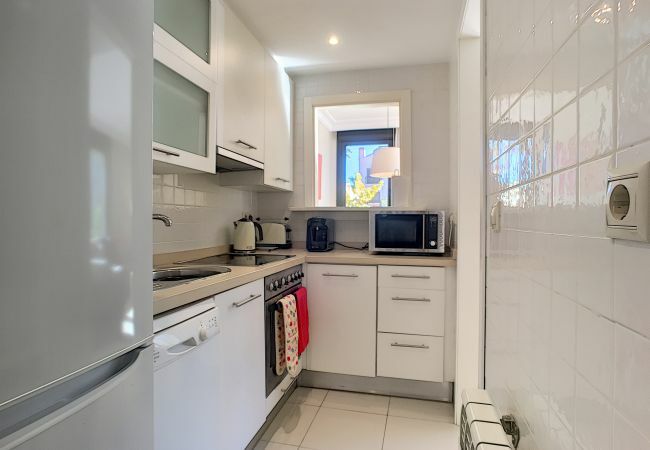 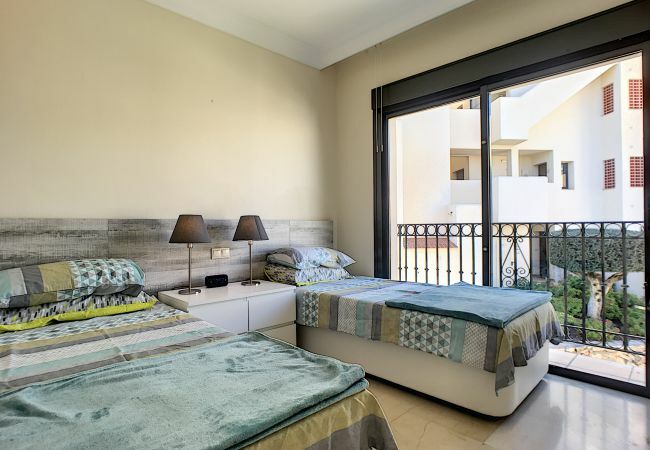 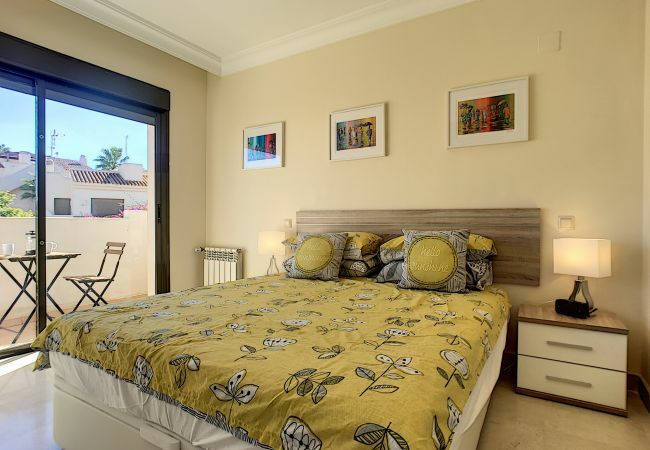 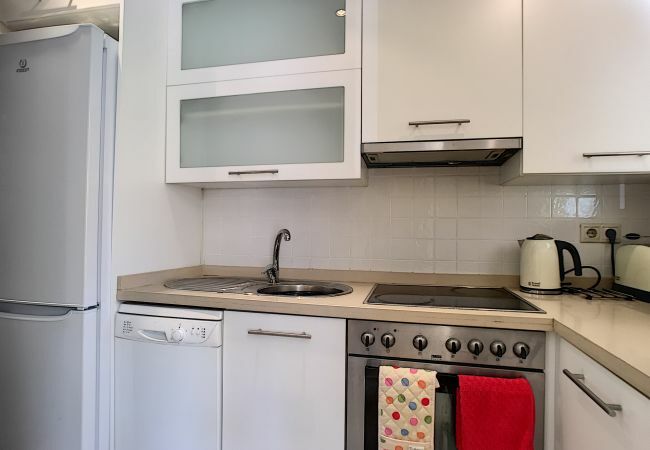 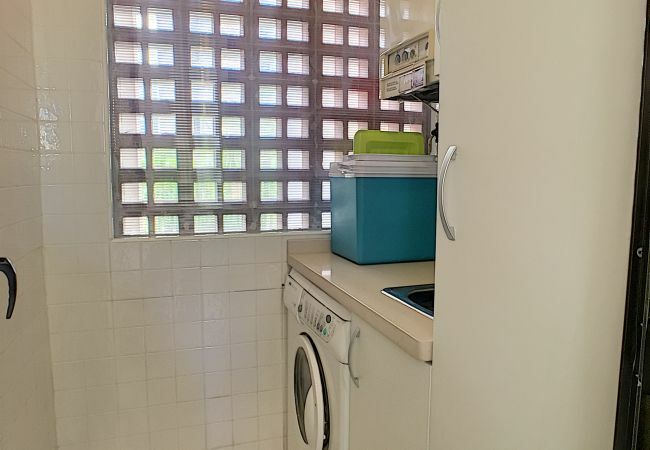 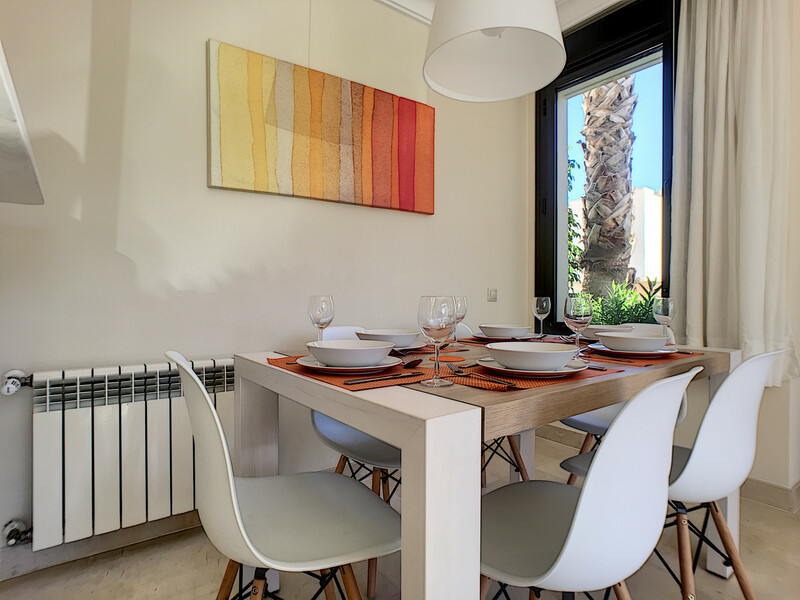 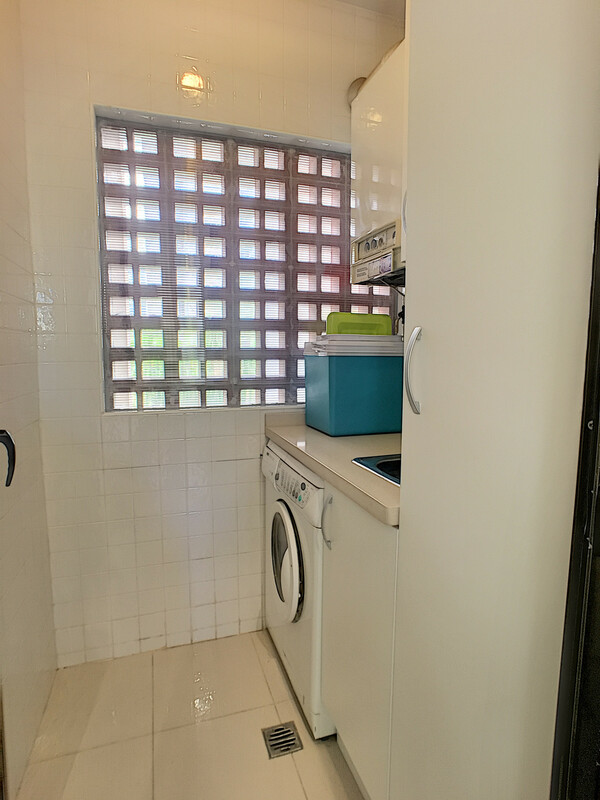 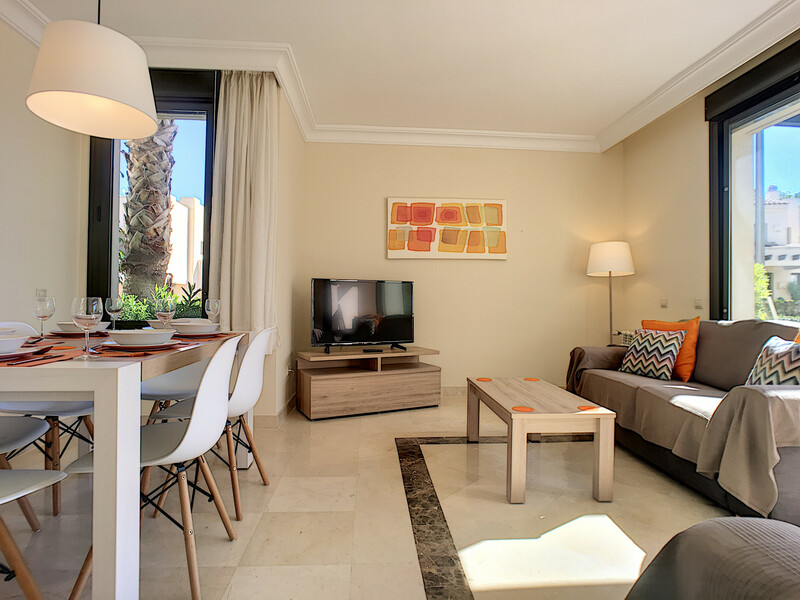 It has a fully equipped kitchen with modern appliances and there are English, Spanish, Dutch and French TV channels as well as free WiFi Internet. 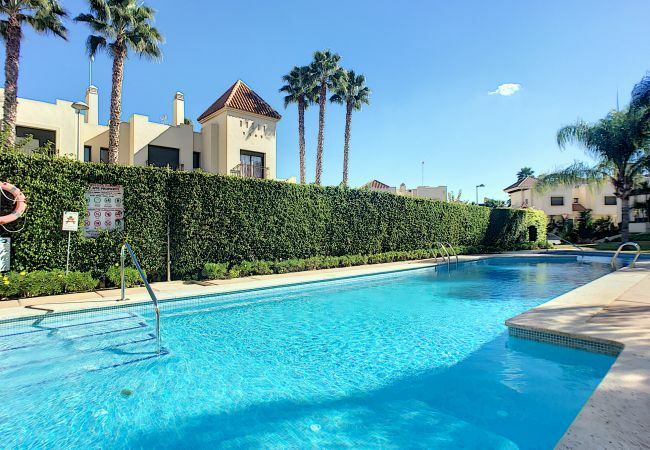 The communal pool is very close to the house and is set in a beautiful grassed area. 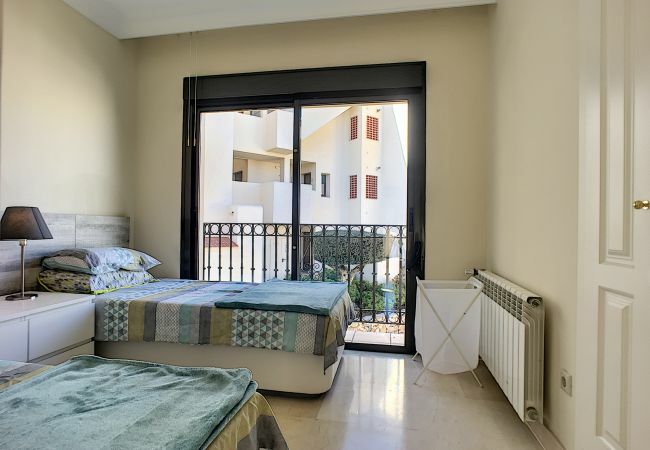 The upstairs main bedroom has two small balconies where you can sit and have your morning coffee, the second upstairs bedroom has a Juliet balcony. 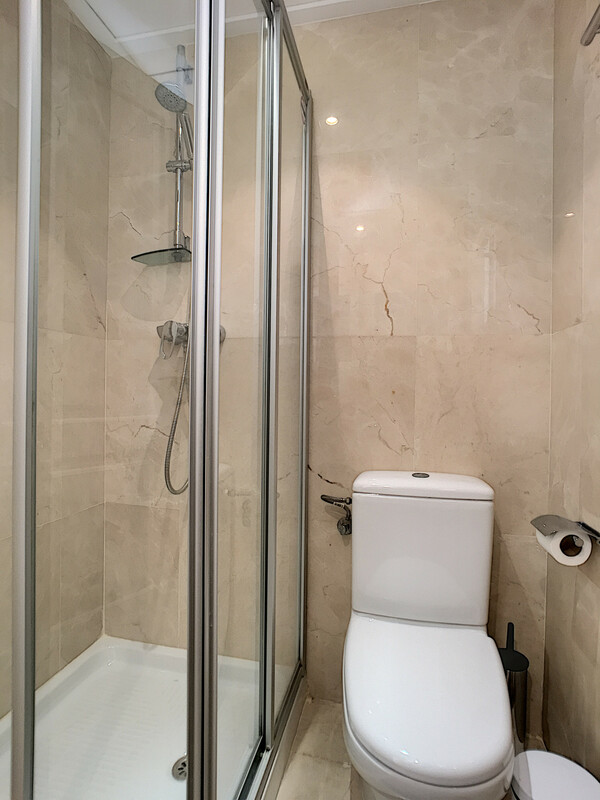 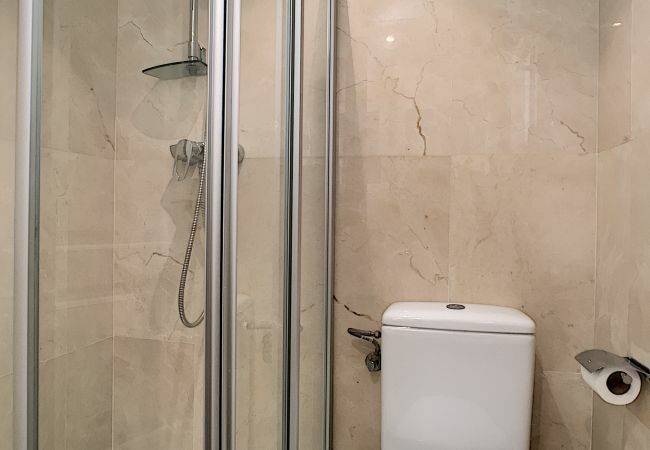 The third bedroom is on the ground floor and located next to the ground floor shower room. 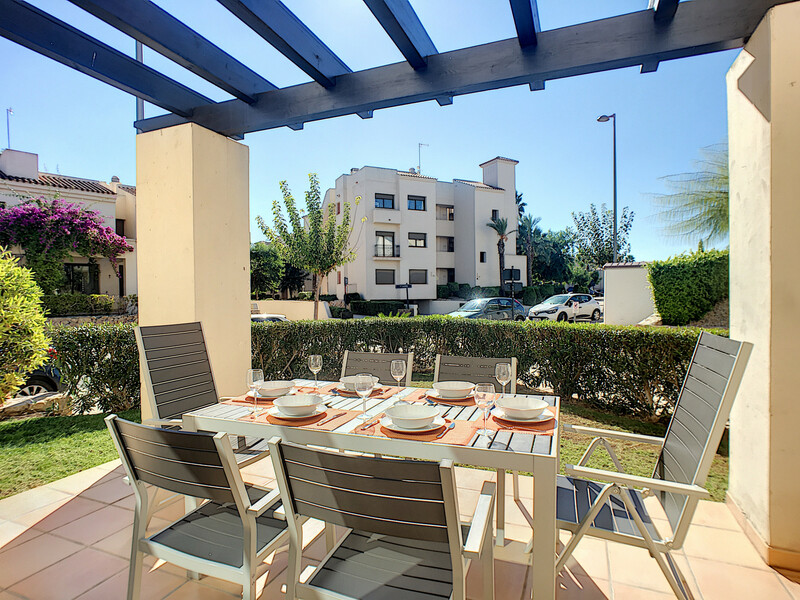 The living room/dining area lead out onto the patio and garden which is south facing and exclusive to the property, here is an ideal spot to enjoy the sun all year around. 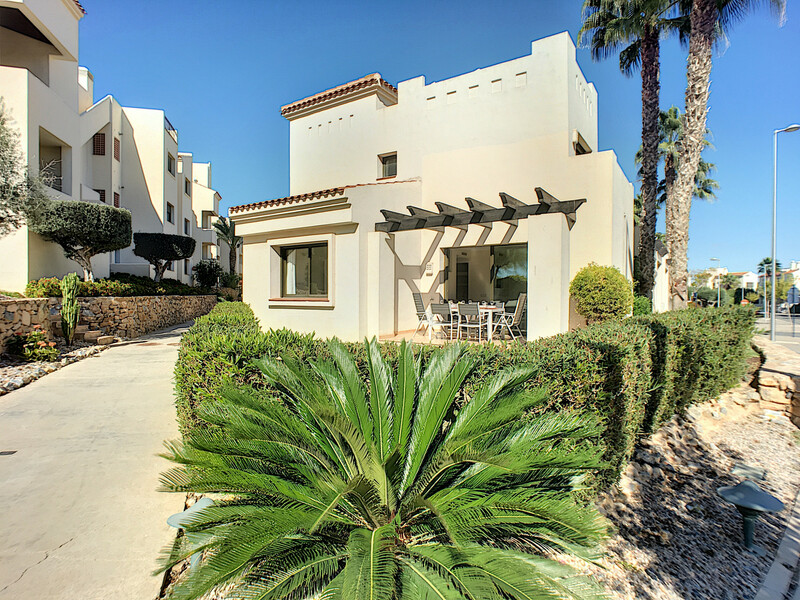 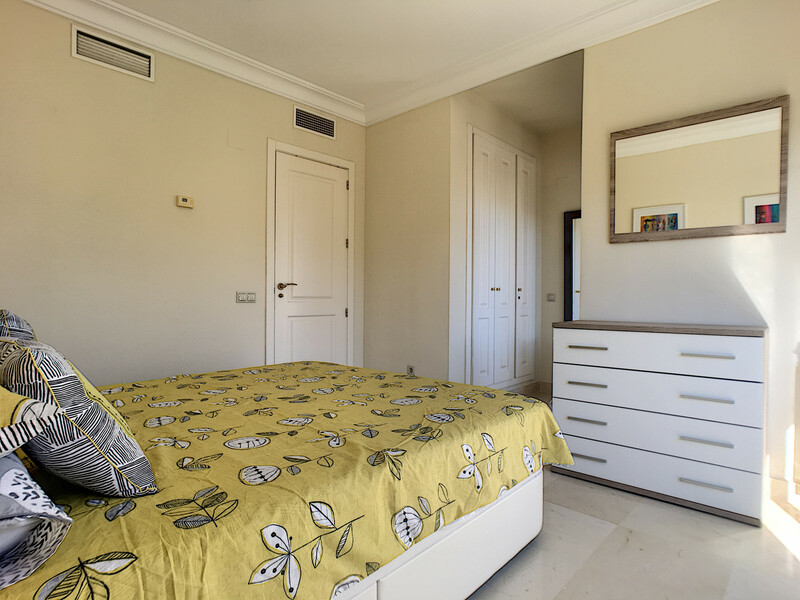 The property is located inside Roda Golf Resort, 2km from Lidl supermarket, 2km from Consum supermarket, 3km from Los Alcázares beach, 3km from Los Alcázares town, 5km from San Javier airport, 7km from Santiago de La Ribera beach, 31km from Renfe Cartagena train station, 76km from Alicante airport. 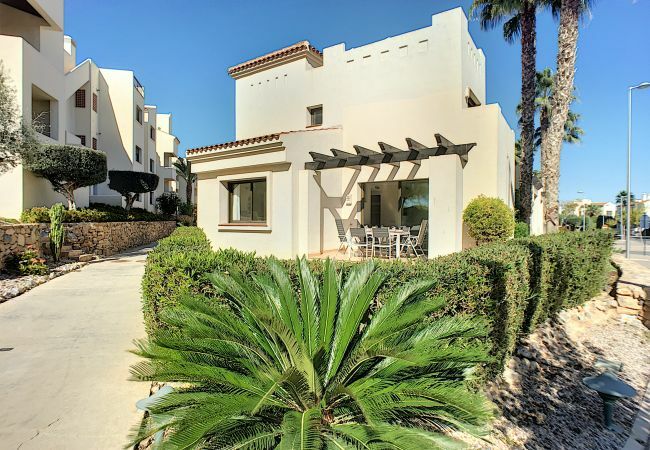 - 1 TV, TV Satellite (Languages: Spanish, English, Dutch, French), garden, garden furniture, terrace, iron, internet (Wi-Fi), hair dryer, balcony, childrens area, tennis court, paddle tennis court, gym / fitness centre, 90 m² property, pet-friendly (Dangerous breed dogs not allowed), electric heating, air conditioning throughout the house, communal swimming pool ( opening date 1/1, closing date 31/12), Garage in the same building.